The history of Thomas Nast and William Meager Tweed is extremely well known and documented.This website will not seek to repeat those facts. Suffice to say, Tweed was a key figure in the development of Thomas Nast’s career and any enemy of Tweed was on some level, a friend of Thomas nast. 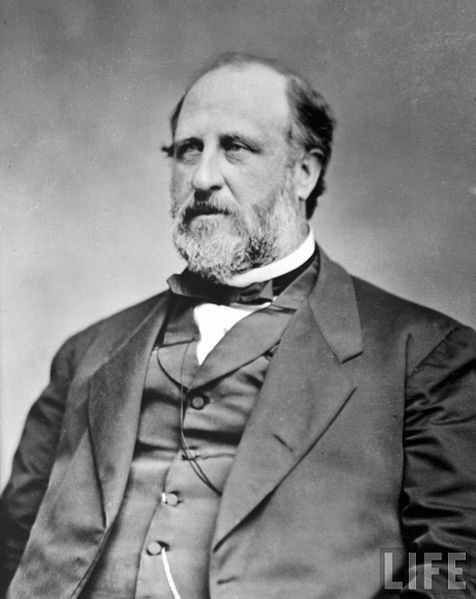 Early in his career, New York City boss or “sachem” William M. Tweed, a Scotch–Irish Presbyterian, aligned with anti-foreign, nativist sentiment. But Tweed was a savvy and ambitious Democrat-a politician who quickly assessed the value of a burgeoning immigrant population. He courted the Irish out of political necessity, quickly and oftentimes illegally processing them as naturalized citizens with the right to vote. Often an Irish immigrant had many identities. The Irish gave Tweed a swelling political base, and in return, Tweed provided the Irish Catholics with a way into the political system, rewarding them with lower-level local positions of authority, such as election ward captains and municipal police officers. As Tweed’s behavior became more ostentatious and his financial pilfering of public funds more overt, the quid pro quo – Tweed’s exchange of political influence to Irish and Catholics for their votes, deeply rankled Nast and other Republicans. In New York, where the Chinese question had been raised over labor issues, Tweed sought to solidify his base with “workingmen” typically made up of immigrant white labor. The majority were Irish. A few years later in 1877, Denis Kearney, an Irish-born immigrant, organized a powerful force, known as the Workingmen’s Party, to drive the Chinese out of California. Other labor unions, most notably the Knights of Labor, were key anti-Chinese agitators. The predominate demographic of the Knights were Irish-Americans. For Nast, Tweed provided the first links to the Irish as enemies of the Chinese. Tweed served for a period as a New York state senator and in late 1870, introduced a bill to ban Chinese labor in New York. Nast had been attacking Tweed for the good part of 1870 and in particular excoriated Tweed for his allocation of public funds toward the establishment of Catholic schools. Nast’s powerful cartoon, “The Chinese Question” is the first that links the Chinese in any way to Tweed, and by indirect association, establishes the Irish working man as an enemy of the Chinese. By now a famous target of Nast, anything Tweed did would pique Nast’s attention. If the Chinese Question was not a natural priority for Nast explore, Tweed’s attacking them surely helped Nast to focus more on the issue. the New York Legislature, to prohibit the employment of any “heathen Chinee” or cooly laborer in the State of New York, under or in pursuance of any contract made out of the State. months, or more than a year, or both fine and imprisonment, according to the disposition of the court toward Chinese cheap labor. admirably expressed in Mr. Nast’s cartoon on page 149. A majority in this country still adhere to the old Revolutionary doctrine that all men are free and equal before the law, and possess certain inalienable rights which even Mr. Tweed is bound to respect. The bill is, of course, a mere catch. If the author really believed that the Chinese would soon overrun the country, and hold the balance of power at the ballot-box, he would not be among the last to bid them welcome. For more details on Nast’s treatment of Tweed, recommended reading includes Doomed by Cartoon by John Adler with Draper Hill and The Art and Politics of Thomas Nast by Morton Keller.